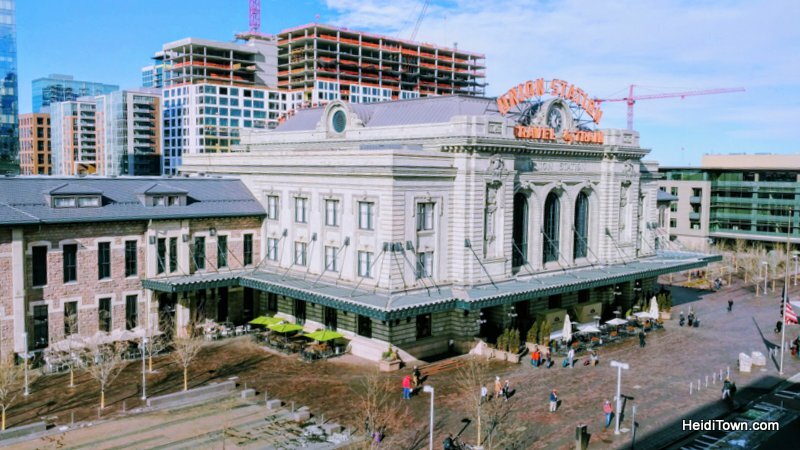 I’m a pretty big fan of food and I know that my readers are too, so when Local Table Tours invited me on the downtown Denver tour, I jumped at the chance to eat all the things in LODO. Denver’s food scene has grown significantly since I moved to Colorado in 1999. Of course, the entire country’s food scene has changed and today, many people consider themselves to be foodies. According to Wikipedia, “foodie” refers to someone who isn’t a glutton but isn’t quite a gourmet, and I’d say I fit that description to a T. I like food a lot and will eat just about anything, but I think food should be approachable, not stuffy and not at all elitist. Getting the lowdown on the craft beer offerings at the new Oskar Blues on Market Street in Denver, Colorado. Local Table Tours has the same approach to food. Founded by Megan Bucholtz in 2010, Megan wants to introduce people to real food in a non-threatening and entirely delicious way. A food blogger who has traveled extensively, Megan is married to a chef and together, they have a farm-to-table approach to cooking. She started tours in Boulder, expanded to Denver and then most recently added tours in Fort Collins. Read about my 2016 Local Table Tour of Jessup Farm Village here. The Farmhouse Restaurant at Jessup Farm in Fort Collins, Colorado. 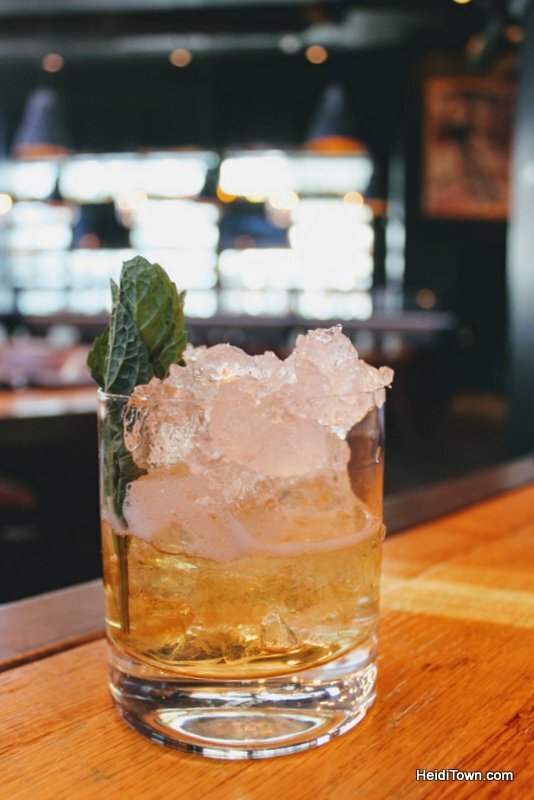 This past Saturday, we took the Taste of LODO tour with guide, Allie Geppert, a woman with years of experience in the bar and restaurant industry. There were just four of us on our tour, including Allie, and we started at a place that’s been making waves in Denver since it opened less than a year ago. 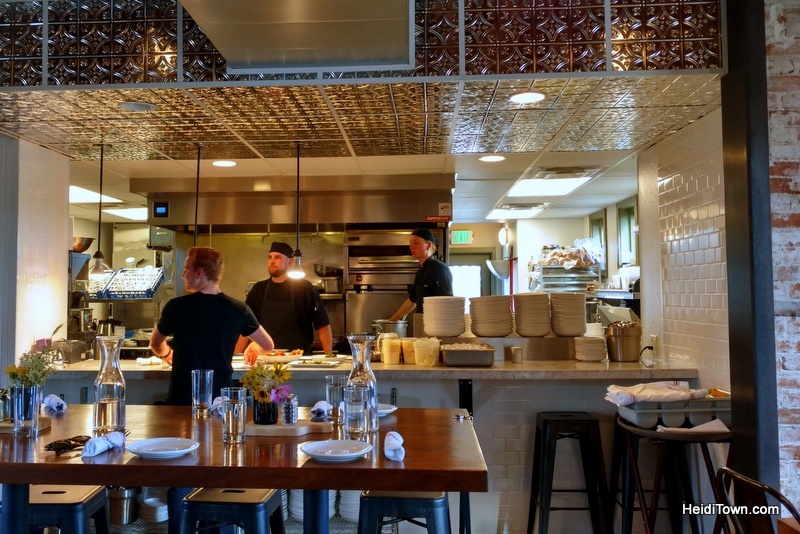 Hearth & Dram is a restaurant serving up comfort food made-from-scratch in their kitchen. 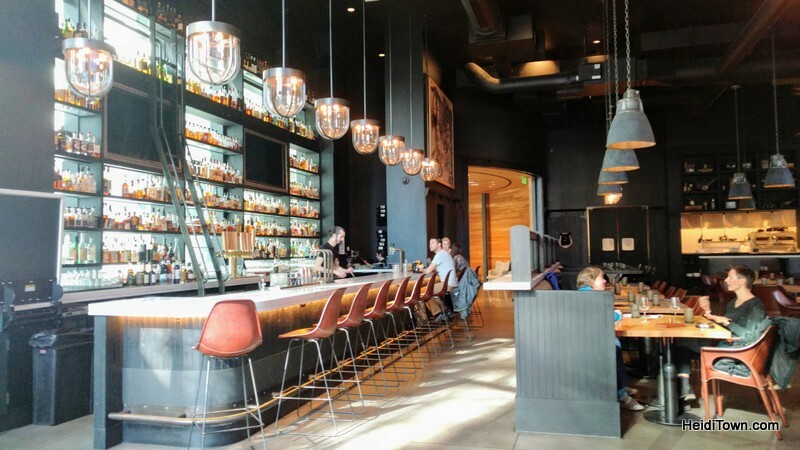 In addition to tasty food offerings, they have nearly 400 whiskeys behind their big, bright and beautiful LODO bar. So many sauces, so little time. Hearth & Dram lived up to the hype, and my favorites here were the many homemade sauces. The whiskey sauce was tops because of course it was, but the honey mustard and Kansas City BBQ sauces were also winners. Ryan loved this place too and I have little doubt that we’ll be back. 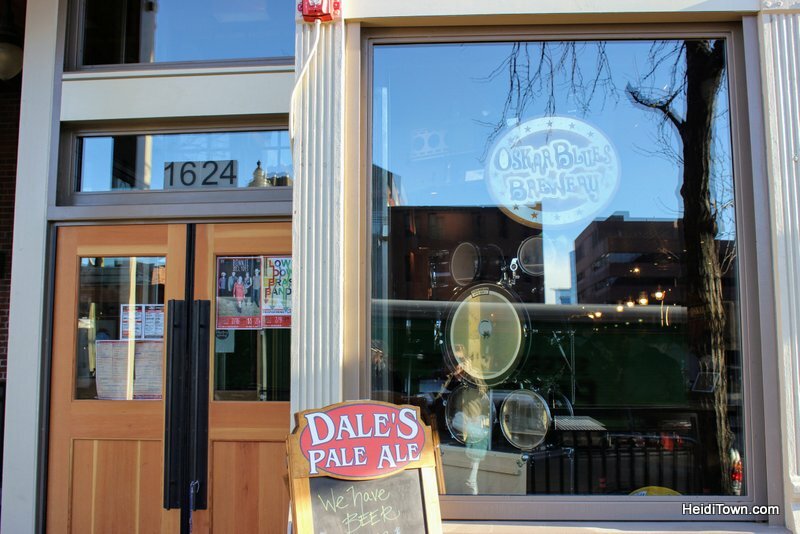 Our second stop was a half-mile away at the brand new Oskar Blues in downtown Denver. I’ve been going to Oskar Blues in Lyons for as long as I’ve lived in Colorado — their Satchmo is one of the best burgers in the world. This place, which still has that new restaurant smell, was buzzing on a Friday afternoon. 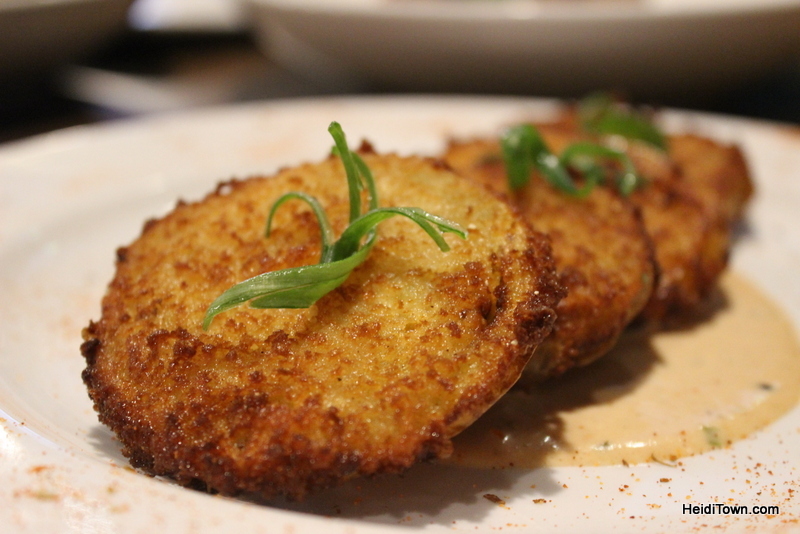 We imbibed beers and wolfed down plates of scrumptious fried green tomatoes, bacon wrapped jalapenos with crawfish, fried pickles and boudin balls. The location on Market Street will feature music downstairs and their Oskar Blues Denver Blues Jam will start in February on Thursday nights. An additional note is that they serve a lot of interesting beers here (not just their own). Craft beer connoisseurs should stop in to check out their taps. Lucky Pie Pizza & Tap House was our third stop and we were greeted with two beer tasters. Two Neapolitan-style pies soon joined the mix including The Popeye (Estate olive oil, sea salt, spinach, fontina, mozzarella, grana padano, pecorino & garlic) and a meat pizza with red sauce that was divine. I forgot to write down the name of the second pizza and browsing the menu didn’t jog my memory. 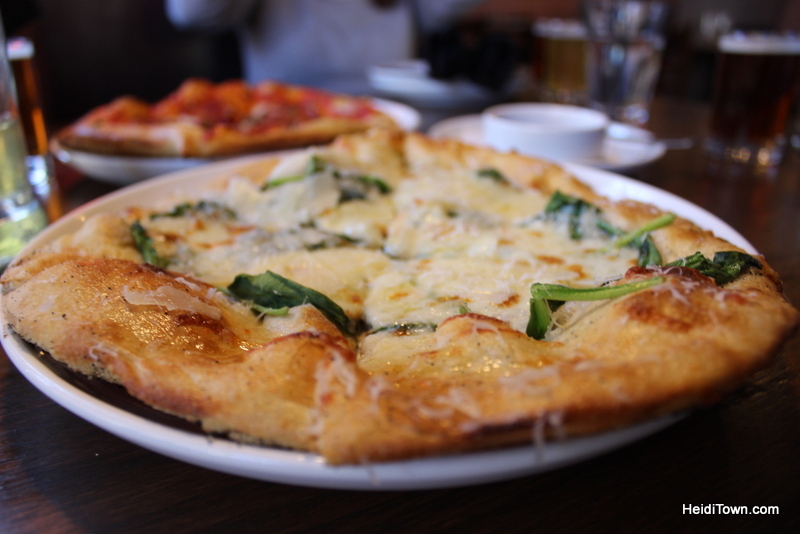 They make it all from scratch here including dough and sauce and source a ton of ingredients either locally or from authentic East Coast delis, so just order a pie – any pie – you can’t go wrong at Lucky Pie Pizza & Tap House. The next place we stopped was Zoe Ma Ma for their famous dumplings. Their first location was in Boulder, a spot that quickly became popular. 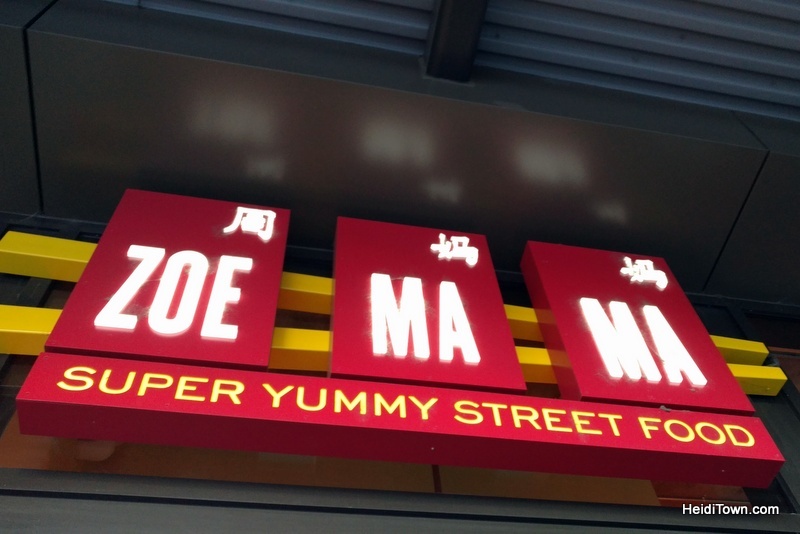 Zoe Ma Ma now has a small space next to Union Station where the dumplings and dim sum fly out the door, and I can see why. We each had a delectable dumpling and I can’t wait to go back for dim sum. 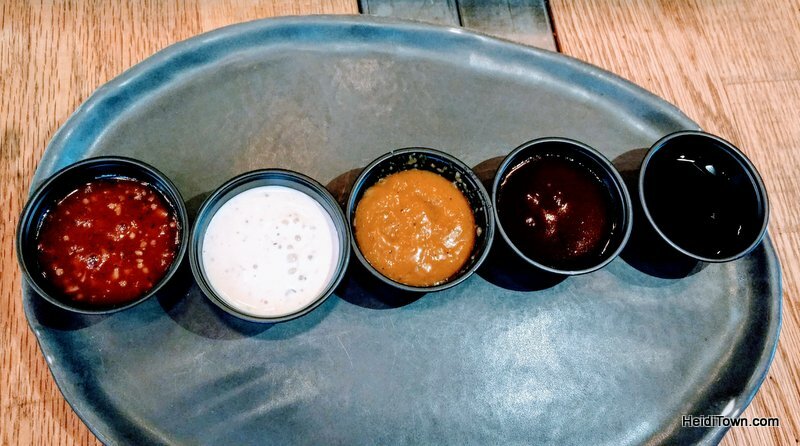 Don’t miss out on trying all the various sauces (I recommend the one marked “hotter”). The final stop on our downtown Denver food tour was Milkbox Ice Creamery inside of Union Station, my favorite spot in the city. If you still haven’t visited the remodeled Union Station, what are you waiting for? 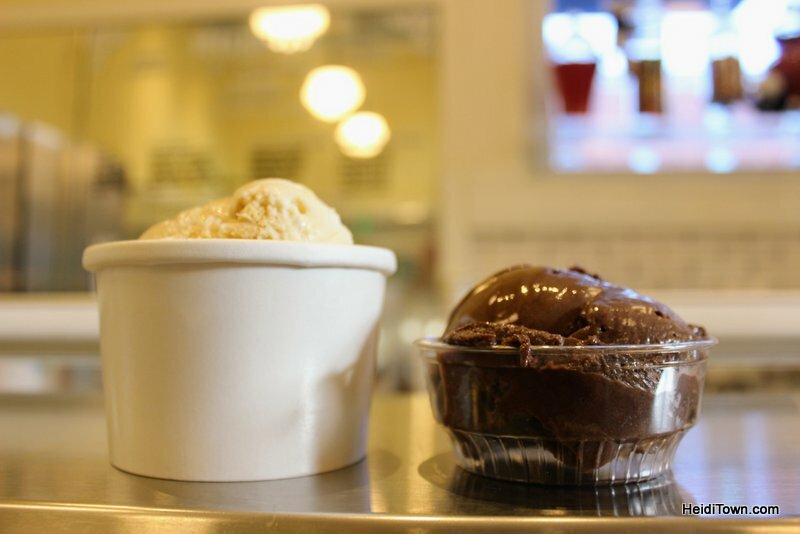 Milkbox serves Little Man Ice Cream without the long line, so it’s a good place to try this insanely popular ice cream. I had the Banana Pudding, and despite not being a dessert person, I couldn’t stop eating this icy cold treat. Little Man Ice Cream is really, really good. 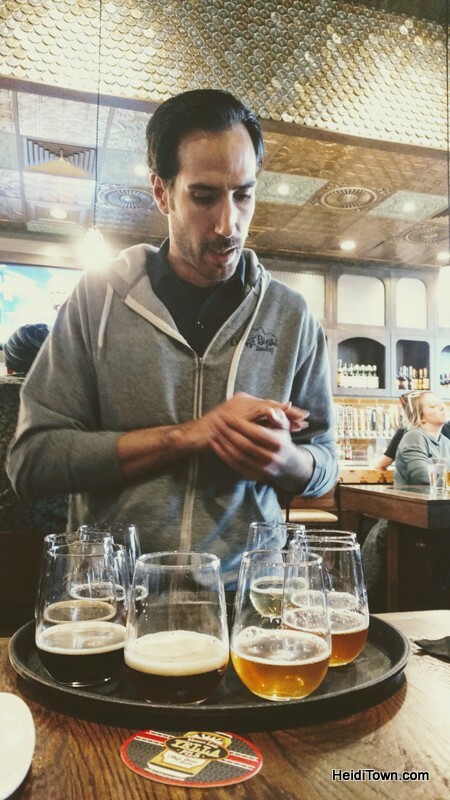 The Denver restaurants on Local Table Tours are always changing so you can do the tour a couple times a year and never eat at the same place. On each stop, either a general manager, server or sometimes an owner, will tell you a little about the restaurant and what you’re eating. 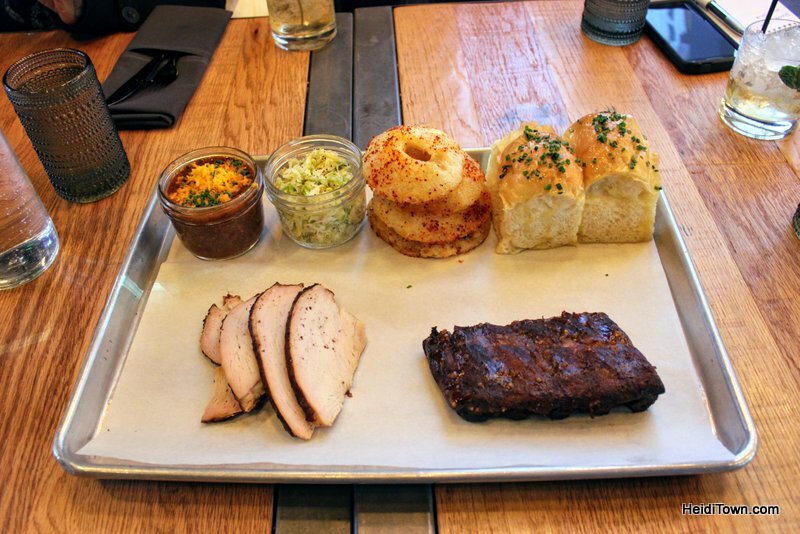 It’s a great way to get an inside look and taste of Denver’s thriving food scene. Taken from the Wynkoop Parking Garage. This isn’t the best photograph I’ve taken of Union Station, however, it does show the massive construction projects currently taking place around the station. Local Table Tours are great for outings of all kinds including corporate events and bachelorette parties. Arrange a group outing by giving them a call (they’ll even put together a private tour for you). 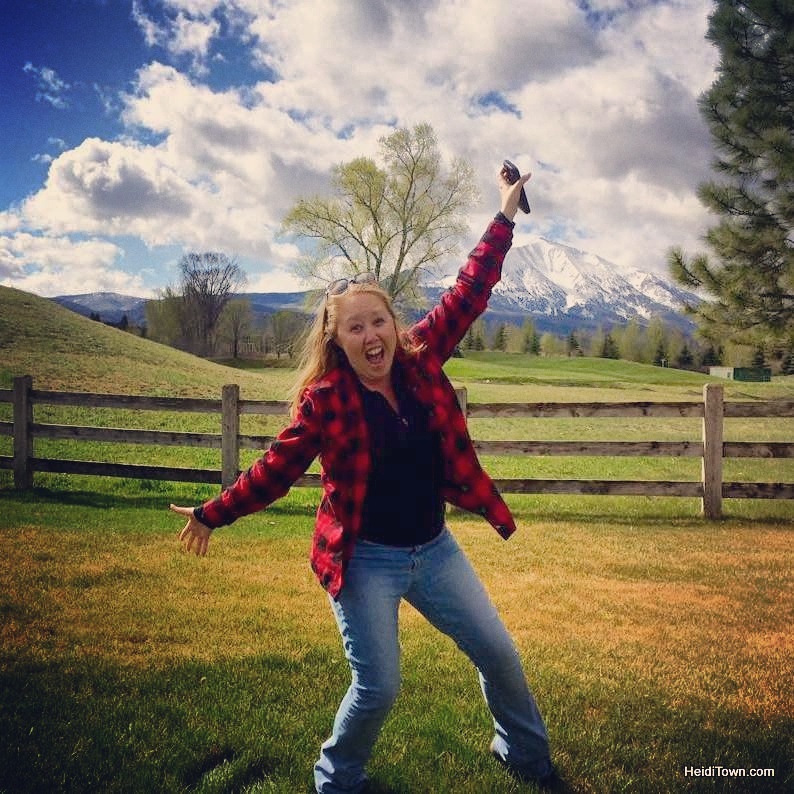 Visit LocalTableTours.com to learn about all the tours they offer in Boulder, Denver and Fort Collins. Thank you to Local Table Tours for hosting us on this outing.